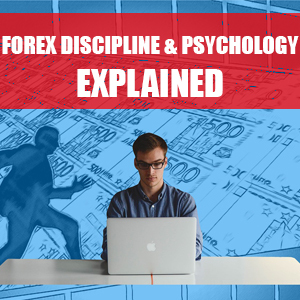 In this post I will discuss the importance of having good forex discipline and psychology. I will cover how these are major factors in your journey to becoming a successful forex trader and what you can do to ensure that you have good forex discipline and psychology. I will look at ways that you can limit the bad habits associated with poor discipline & psychology by forex traders. When implemented in your trading, these factors can be the difference to becoming a long-term profitable forex trader or to giving up. Many newbie forex traders focus on finding the holy grail forex trading system or forex robot whilst ignoring these important aspects of trading. They then wonder why they are not a successful trader. Having your trading emotions in check can be as important as the trading system that you are using. A disciplined forex trader with good trader psychology would usually perform better than a forex trader who does not have these under control, even when using the same trading system! Forex discipline in a nutshell is basically how you control yourself when you are trading. It determines how well you can stick to a trading plan and follow thing such as consistent entries/exits based on your trading strategy. It is abiding by the rules that you have set out in your money management. 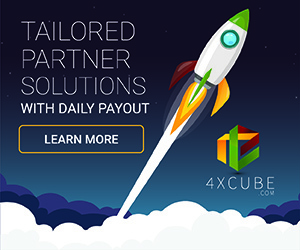 It basically means to stick to the plan and to treat forex trading as any other business without constantly moving the goal posts to try and fit square pegs into round holes. 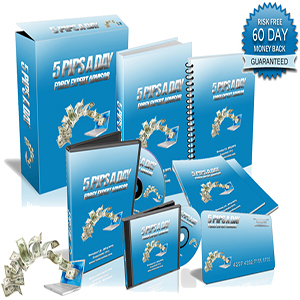 If you started up any other business you would need a business plan and forex trading should be no different. Whilst it is good to be flexible, this does not mean that you should stray too far away from the plan that you have prepared to reach your goals as a successful forex trader. Why is Forex Discipline so important? I am sure that many of you reading this have made a trade without any idea of where the stop loss should go or how far you should set the take profit. You may “wing” each trade without some sort of plan in place which I believe is not an ideal trading strategy. I would prefer to analyse the markets and take trades that meet my pre-defined entry criteria whilst also having the correct money management setup according to my rules. E.g. If my stop loss was 50 pips and take profit was 150 pips, I would only take trades that met these conditions. I wouldn’t look to enter the market where my stop loss would be below a resistance level that is 200 pips away for instance. Being disciplined and sticking to the plan helps to maintain consistency within trading and leaves little open to interpretation. If you have a losing trade then take it on the chin if it was a valid setup. If it was a trade that didn’t fit the initial entry criteria which you may have taken out of boredom or desperation, then this shows a clear lack of discipline. When you have a good plan combined with good discipline, you can increase your chances of long-term profits. If you are still not profitable then perhaps you would reconsider the trading system and money management being used to adjust it to something more suitable for your trading goals. What are examples of good Forex Discipline? Good Forex Discipline is to basically have a trading plan and stick to it no matter how tempting it may be to stray. The trading plan will usually include an entry and exit criteria that you have based on technical analysis, fundamental analysis or price action analysis whilst there should be a money management strategy in place with a favourable risk to reward ratio that you stick to on each trade. Furthermore, if you are extremely disciplined, you would only be taking trades into the market that meet all your trading criteria as tempting as it may be to force a non-existent trade or to adjust your money management as you go along. Now of course, there may be instances where your money management is flexible and depends on things such as where the support/resistance levels are, when the technical indicators give an exit, etc. In this case, I would just make sure that any loss is no greater than my initial stop loss and profits are at least reaching my initial target are more. This is especially evident when using money management techniques such as a break even and trailing stop. What are examples of bad Forex Discipline? In my opinion, bad Forex Discipline would be not having a trading plan or money management in place. Furthermore, even with a plan in place, I would consider it bad to go against the plan as and when it suites you. This can lead to frustrations with yourself and does not give a fair reflection on if your plan is actually sound or not if you are not following it, how can you know. Jumping from one forex trading system or forex robot to another after just 1 loss is also something that I would consider bad forex discipline just for the fact they have not really been giving a real chance. Forex discipline ties in with forex psychology, for example traders wanting to make a huge amount in a short time give up on things very quickly when this doesn’t occur. Forex trading should be seen as a long-term sustainable business rather than a get rich overnight scheme I believe. Whilst similar to forex discipline, forex psychology is basically controlling your emotions and not letting things such as fear, greed, anger, etc, take over your trading decisions. I am sure many of you reading this article have entered the market in anger straight after a loss only to see the market continue against you. This can get messy really quick. You may adjust stop losses to allow a trade more room to manoeuvre only to find it keeps going into the negative whereas had you stuck to the trading plan, your loss would have been cut shorter and you would be looking for the next valid trading opportunity. If your mind is not right, I don’t think you can make the correct trading decisions. Forex trading is hard enough as it is let alone having your mind interfering and bringing in further doubts. 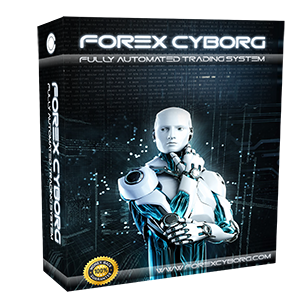 Forex robots can help to remove some of the problems with lack of discipline and psychology as they are fully automated and trade as they are told although the trader can still interfere by changing settings based on their own emotions. Why is Forex Psychology so important? Forex psychology is important as it helps you to stick to your trading plan and money management strategy with an ice-cold attitude. If you let your emotions take over, you can end up doing silly things and then blame the system you are using or the market for your own mistakes. When your psychology is on point, then you can give the trading system and money management strategy a fair test, otherwise you would never know if you had the best forex trading system since sliced bread or not. Furthermore, becoming a successful forex trader requires lots of patience and discipline whatever the strategy being used. What are examples of good Forex Psychology? Good forex psychology would be to remain calm and study the charts graceful with analytical thought that ties in with your trading strategy. You wouldn’t re-enter after a loss in anger, you would simply take the loss as part of trading and wait for the next opportunity. If you had a stop loss of 50 pips and take profit of 150 pips, you may get disheartened after 2 losses but if the 3rd trade was a winner, you would be 50 pips up! This helps to emphasise the important of good trading psychology. If a professional football player let their emotions get the better of them during every game, they would be getting sent off every game. Just as if a forex trader is letting their emotions take over every time they are trading, they are more likely to make a mistake. Good forex psychology is remaining calm, breathe! What are examples of bad Forex Psychology? Bad forex psychology would be to take trades that just aren’t there and do not fit within your allocated forex trading strategy. Tiredness, boredom, anger, fear, greed and more can all be factors that cause bad forex psychology. Also, changing the money management away from the rules that you set could be considered ill-disciplined. I m sure there are many forex traders out there who try to adjust the money management constantly to “fit” within recent trade setups as the “ideal” solution. The thing about this is, the money management would forever be changing and your psychology could be affected by it. It starts to become hard work and create doubts from the trader’s perspective. When we cannot think clearly or do not have a plan in place, we can perhaps end up doing things in the markets that make no sense at all. Only after when we look back, we can realise our mistake at that time – a lack of discipline and good psychology! How can I improve my Forex Discipline? Practice, practice, practice! I would say to start on a forex demo account until you can consistently stick to the forex trading system and money management strategy that you are using. Once you are turning a profit you may then consider trading on a small live account to begin with just because trading live on a real account no matter how big or small can have a strange affect on discipline. For some traders once real money is involved the discipline goes out the window. 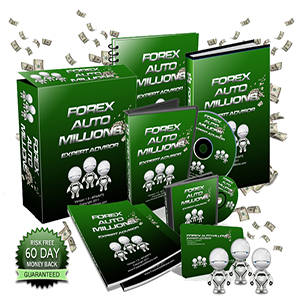 So, the more practice you can get, I feel the better your forex trading discipline will be. The main thing aside from practice would be to have a clear and concise trading plan that includes an entry and exit criteria that is not open to interpretation whilst having a money management strategy that you feel comfortable with. After all, if you do not feel comfortable with what is planned, then poor discipline and poor psychology are more likely to creep on in. I also find it beneficial to have a daily target and stop trading once that is reached, whether that be a losing, winning or break-even day! Improve forex discipline by having a clear trading plan in place (entry, exit, money management, targets, etc). How can I improve my Forex Psychology? As with trading discipline, psychology can be improved through a ton of practice. Don’t get me wrong, we may on the odd occasion get annoyed at the market or frustrated but we need to take a few deep breathes and realise it is all part of trading. We wouldn’t really want to jump straight back into the market in this instance. We would want to take a step back and be aware of our emotions thus keeping them in check. If you find that your trading psychology is all over the place then maybe forex trading is just not for you and there is nothing wrong with that. Better to walk away than to keep struggling. However, it may just be a case of more practice or trading a different system and money management strategy that is more suited to your personality. I also find that trading at a time that is solely dedicated to forex trading and nothing else can help performance simply because there are no distractions. Next Next post: What is Forex Technical Analysis and how to apply it to forex trading?